Supply Health is an independent, regional advisory firm based in Nairobi, with a branch in Dar es Salaam, that is pioneering new approaches to improve public health supply chains in East Africa. 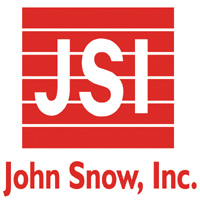 Drawing on the experience of our John Snow Inc. (JSI) affiliation, our dynamic team of local consultants works closely with public and private sector clients to design optimized, customized and resilient supply chain systems. inSupply deploys systems that deliver essential health products such as antimalarial and HIV medications, vaccines and contraceptives in complex settings. We take proven methodologies from the commercial sector and adapt them to local conditions. We involve our clients closely in shaping their supply chains so they can own, implement and continuously improve their systems over the long term. We specialize in: developing supply chain maturity strategies, building organizational capacity for supply chains, designing and implementing data-driven, optimized supply chain systems and quantifying health commodity needs. inSupply doesn’t just help our clients select the right technology for better supply chain management. We also invest in people and processes, helping to build a culture of data use and continuous improvement. inSupply is searching for a Regional Technical Advisor, based in Dar es Salaam, with willingness to travel in the region. The candidate will play a supply chain technical and analytical role in the project’s activities, generate new business for the organization, and provide management and administrative support as required. S/he will work under the direction and supervision of the Country Team Lead. Our ideal candidate will be a flexible and adaptive thinker who is self-driven and self-managing, team oriented and who seeks robust, creative, effective solutions to problems. S/he has a strong background in supply chains, an affinity for data and analytics, and places users at the center of designed solutions. Work collaboratively with the clients, including government institutions, non-governmental organizations, donors, and others to articulate their supply chain problems, collaboratively develop solutions and approaches for their implementation, execute activities, and monitor performance. Implement IMPACT team models and frameworks (data-driven, people-centered frameworks) that can serve to drive the supply chain improvement approach which underlies the inSupply brand and approach in Kenya, Tanzania and other countries regionally, and to improve health supply chain outcomes globally. Help create and implement marketing strategies to generate demand for and ownership of proven innovations for supply chain improvement to facilitate implementation regionally. Proactively identify opportunities for relevant regional partnerships, technical assistance and funding, so as to expand the skills and capacity of the regional pool of supply chain consultants, as well as to generate demand for their services. Provide mentorship and coaching of students, interns and junior staff when needed. Play a lead role in developing and implementing supply chain improvement plans and in completing deliverables (e.g., data analysis, data use, dashboard development, tool development, technical reports, technical assistance reports, progress reports) as necessary, and monitor and ensure accountability for completion of other deliverables. Participate in routine technical calls and meetings with the broader team. Serve as a representative of inSupply, including participation in working groups. Give and attend debriefings and seminars as a representative; report on key information to other project staff members. Travel within Tanzania and the region to guide and support implementation of the project objectives. Master’s degree and three or more years of technical experience in global health, or development. Specific expertise in health supply chain management, pharmaceutical management, support to family planning, Immunization programs, and quantification is highly desirable. Experience working with Ministry of Health, Community Development, Gender, Elderly, and Children (MOHCDGEC) in Tanzania required. Experience working in counties or other countries in the region highly desirable. Experience with the international donor community, including bilateral and multilateral donor agencies and private foundations. A proven ability to work as a part of a team but be self-managing of own time and results, and to be a proactive and clear communicator. Strong preference for a candidate able to work with diverse teams and is a team player, can take initiative, be flexible, adaptable, creative, and demonstrates technical leadership. Experience with mining, analysis, interpretation and presentation and visualization of data desirable. Excellent and proactive oral and written communication, presentation, and organizational skills (both analytical and problem solving). Ability to travel 40%-50% time, in Tanzania, regionally, and internationally. Ability to work comfortably in the MS Office package, specifically MSWord, Excel, Access, Vizio, and PowerPoint. Familiarity and skills with using excel for analysis, statistical software and/or data visualization software highly desirable. Fluent in English, with proficiency in French highly desirable. This is a full-time position based in Tanzania. JSI offers excellent benefits. JSI is an Equal Opportunity, Affirmative Action Employer committed to workplace diversity. Women and minority candidates are encouraged to apply. M/F/H/V/D.